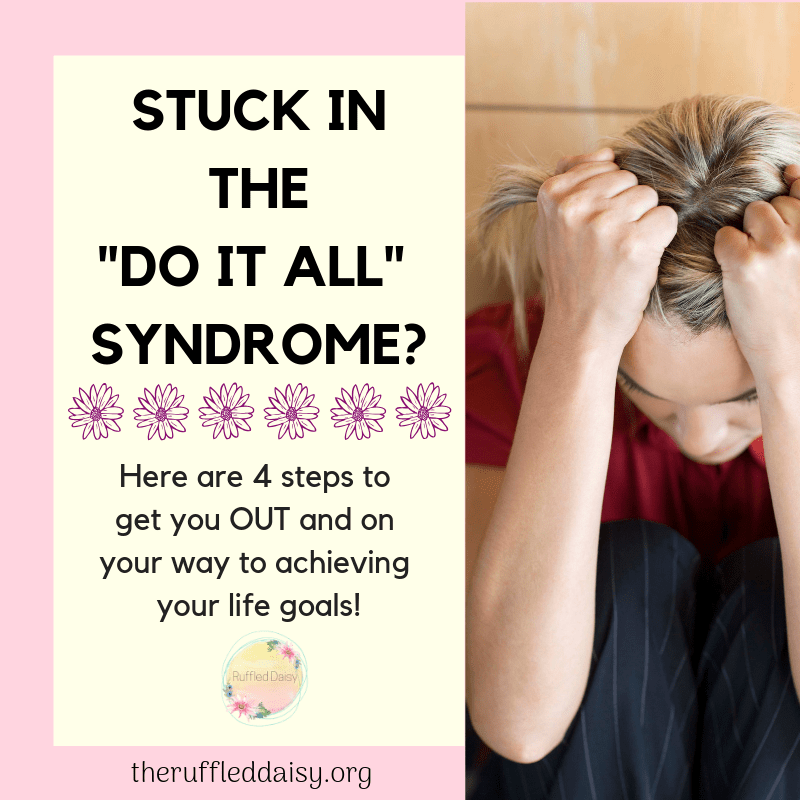 Are You Caught In The “Do It All” Syndrome? Who are you doing it for? Our purpose in life is not to do EVERYTHING for the family or the PTA, but for what our Father gave us to do. Focus on good worthwhile things while still knowing that it can’t all be done. Our purpose is to bring glory to the one who gives us the opportunity to tackle this balancing act. How can we do this when our homes are constantly in a state of bedlam and make it beautiful? 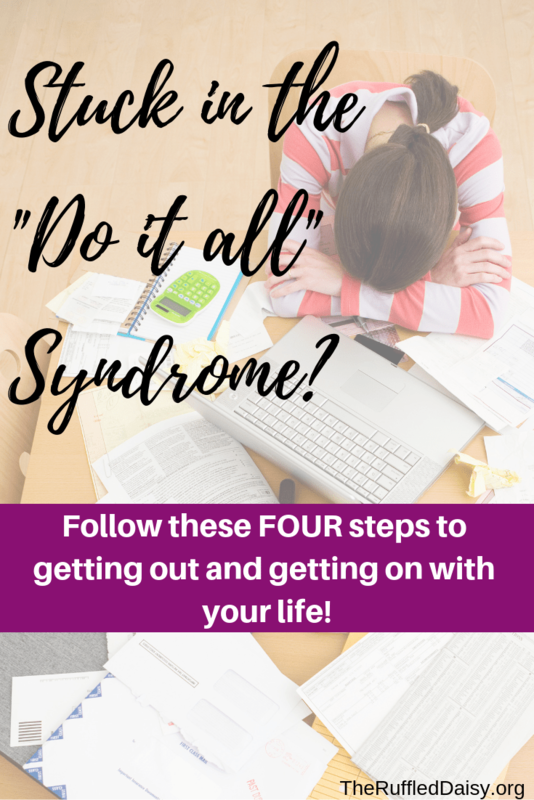 Here are FOUR steps to getting out of your Do It All syndrome! Instill traditions in your home. We all have them but the difference I am talking about are the ones that you do yearlong and not just holiday traditions. Think family dinners, game nights, popcorn and root beer float movie nights. The Christmas and Thanksgiving season can become so jam packed with to do lists that traditions are what people remember and look forward to year to year. Think about an implement weekly traditions that reconnect and ground you to your home and life goals. There is comfort in traditions versus chaos. Have a heart of loving kindness. Look for unique way that you can pour love and encouragement into others. This may seem like another “task” in your already full schedule, but simple ways to pour encouragement into others will begin to help us feel more in control and relaxed. Simple lunch box notes, encouragement through a “kiss” and a “good luck”. Don’t let you children or your spouse walk out the door without showing them love and encouragement to fight the battles they will tackle in the outside world. Being at peace with those in your home will give you a sense of satisfaction and order. We can serve the outside world in many ways but you can also serve with your home without adding MORE to your plate. I am not asking you to serve in ADDITIONAL ways. Mark your doorposts as a warm haven and refuge. How do you do that? Senses are the way that we all experience life. We feel good when those senses are heightened and stimulated. Make sure your home shows warmth, nourishment, encouragement, soothing, stimulating, and satisfying (just to name a few). All of these feelings communicate service and love to family and friends around you. Be in service to others making sure the environment that surrounds you is one of love and encouragement. I know these four steps may seem a little out of the ordinary but I promise they will produce insane results! It’s easy to see people whom you think have it all together. Just remember that when they are on social media bragging about their lives and showing you pics of their home or craft projects, etc; they are just showing one corner. There is another corner out of the frame that has mountains of laundry I can promise. No house in this world looks like the magazines and I can almost promise that if it does, it isn’t communicating love in all the ways that it can. Think about it? If you go into a home that is spotless, do you feel soothed, welcomed or warm? I know I don’t. Here’s a shocking statistic: 80% of US women believe we don’t measure up! That’s a lot of us that are not giving ourselves the credit that we deserve. There isn’t a mold that we all have to follow. That makes life boring. God gave us our individuality and it is our responsibility to embrace that. Queen Esther did extraordinary things for God but was just an ordinary woman. Her gift of hospitality made her extraordinary. Chose to begin living intentional with the ordinary! Do you have a friend that needs to see this post? I’d love for you to share it on social media and PIN it so you have it for later! If you like the topics I share on this page, I’d love for you to join my mailing list HERE! When you join, I’ll send you my FREE Home Decor Holiday Printables that you can immediately download. Just my way of saying “thank you” and encouraging you to live your best life! !